German PC chassis, cooling and power specialist be quiet! has announced a limited edition of its popular Dark Base 700 PC case. The new be quiet! 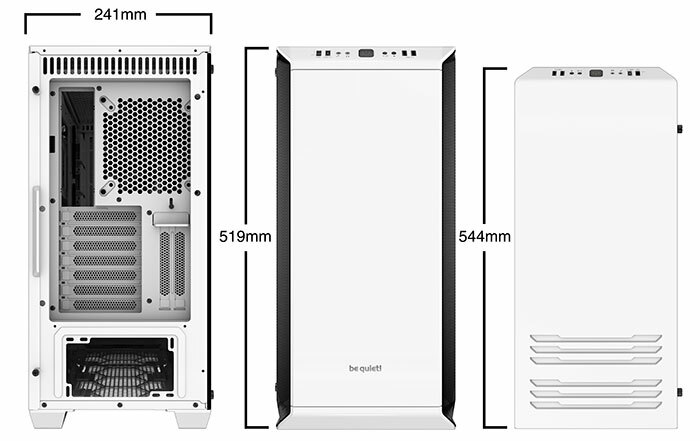 Dark Base 700 White Edition is, as you would guess, a version of the HEXUS Editor's Choice winning PC case in an attractive brilliant white finish, with a clear-colourless tempered glass side window and exterior RGB LEDs. The Limited Edition will be distributed in a moderate quantity - 3,000 worldwide. In the feature video above you can hear be quiet! explaining that the Dark Base 700 is "one of the most popular PC cases" that be quiet! has ever produced. 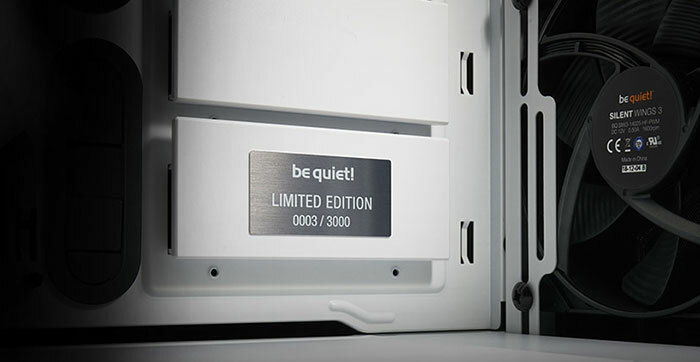 The narrator says that the limited White Edition is a "little thank you to our most loyal fans". As is now customary with be quiet! limited editions, the individually numbered aluminium badge is provided in the retail box so owners can decide where/if to display this detail. We are assured that nothing except for the appearance has been "tampered with" in this limited edition. Thus you will still enjoy a sound and vibration dampened chassis with plenty of cooling and expansion options. 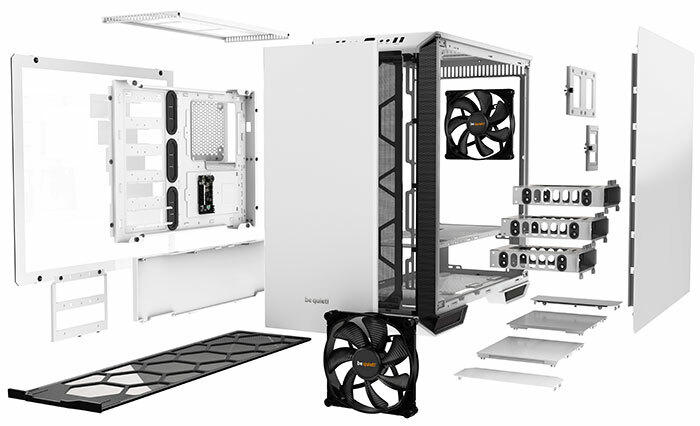 In the images you can see the whiteness of this PC case extends to all the internals too, the motherboard tray, HDD cages, large PSU cover, and more. In an email to HEXUS, be quiet! said that the Dark Base 700 White Edition will be available worldwide from 19thFebruary with an MSRP of €189 / £178.99 / $189. For reference, the original black version is in stock here in the UK for £159 and thereabouts. I like the white case, feels refreshing, not because it's limited edition; that's just a marketing ploy to get full retail/extortionate pricing. Some white fans would have made a better touch. 20 quid extra, just for white paint, not even a special finish? Forget it, my white FD Define R5 cost the same as the black version (Novatech, early 2016).